I have had many patients coming to me recently with their summer travel plans asking how acupuncture and chinese herbal medicine can help them with their specific travel needs. Individual travel needs and concerns can vary greatly throughout our community but one thing seemed to be in common, most people had no idea acupuncture and Chinese herbs could help so much before, during and after travel. In this article I will break traveling down into before, during and after travel and share some of the helpful things that patients have come into our clinic to prepare for those times. Some of the main concerns my patients have before a big travel have been their anxiety, fear of flying, claustrophobia related to traveling and public transportation, digestive issues, motion sickness, allergies, neck or back pain and the strength of their immune system. All of these issues are great to address before traveling. Coming in for regular sessions leading up to your departure date is a valuable way to treat any underlying issues that may already be existing or to treat preventatively to avoid problems in the future. A 35 year old female came in a couple months ago with an extreme fear of flying and history of fainting and getting dizzy in stressful situations and confined spaces. She knew she would be traveling for work in less than a month so she came in once a week for 3 weeks leading up to her travels and we focused on points to lower her anxiety levels, improve sleep and reduce the sympathetic nervous system’s response to the stress in her life. She had a safe flight without any issues and has since then, traveled on an airplane two more times for work and even once for pleasure. Another patient, 42 year old male was off to New Zealand with his wife for three months but woke up the day before their flight with such bad knee pain he was unable to walk and afraid to travel. We did local needles with electrical stimulation and when he left he was able to walk again with decreased levels of pain. He came in again the following morning before his flight, the inflammation and swelling had greatly improved and we did one more treatment with local (points on and around the knee) and distal needles (away from the knee) to deactivate the pain receptors and decrease his levels of pain from a 6/10 to a 3/10 by the time he left the clinic. Just like with our daily lives, so much can happen while we are traveling. The only thing about injuries, illnesses or emergencies when traveling is we don’t have the convenience of our local care providers, pharmacies and the comfort of our own home and bed. It is important to be prepared for travels to prevent any issues from arising while you are out of the road, in the sky, floating down river or possibly sailing across the ocean’s blue water. Here are a few things to have your acupuncturist/herbalist prepare for you that can be crucial to have in your traveling toolbox. I love going on long hikes and backpacking and camping trips with my family. It is a must for us to have a first aid kit on hand in case one of us slips and falls and needs to be bandaged up. A lot of fellow travelers and backpackers I have met carry some variation of this but what about having an herbal first aid kit in your backpack? 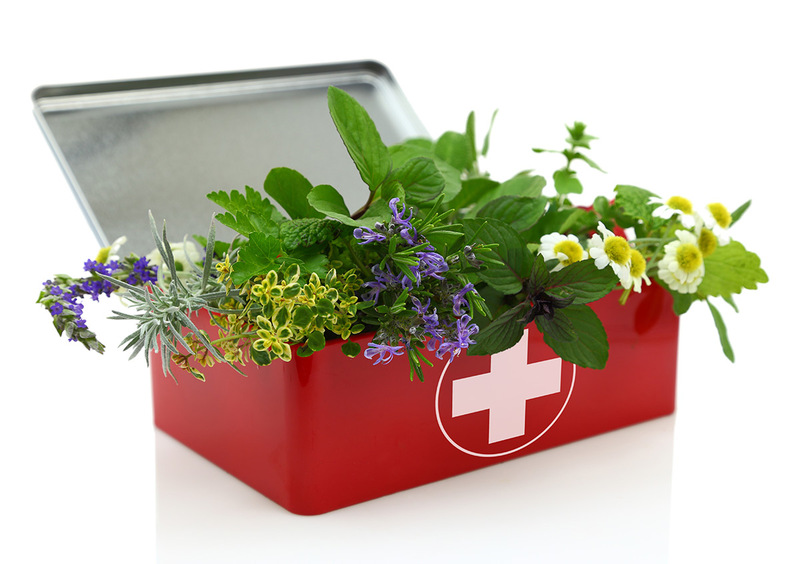 Herbal formulas are incredibly helpful to have on hand when you or your loved ones start to feel ill. These are the herbal formulas I make sure to have in my pack when going on an adventure (depending on the type of adventure): Po Chai pills for traveller’s diarrhea, Gan Mao Ling for common head cold, Yu Ping San to strengthen the immune system to prevent getting sick, Yin Qiao San for a cold starting with a painful sore throat, Da Zhi Tong Capsules and topical herbal plasters for traumatic injury/sprain/strain/blood stagnation, Ba Zheng San for an UTI (urinary tract infection), Chuan Xin Lian for a viral infection, Yunnan BaiYao for injury to stop bleeding, Bao He Wan for overeating/greasy food/food stagnation and An Mien Pian for insomnia. I always recommend talking to your acupuncturist/herbalist/healthcare provider before buying any supplements or herbal formulas to make sure they are appropriate for you and your body. Other helpful tools to have while traveling are ear seeds or ear tacks. These are usually placed inside your ear by your acupuncturist and last 3-5 days. They stimulate the acupuncture points within the ear and help relieve anything from pain to emotional issues to digestive issues to sleep problems. A very common reason I place ear seeds in my patients’ ears before they leave is for stress and anxiety during their travels. Last holiday season, I had a patient who was on Day 4 of not smoking cigarettes but on her way to her mother-in-law’s house for Thanksgiving and knew she was going to have a very hard time controlling her urges. We did five specific points in the ear, known as the NADA (National Acupuncture Detoxification Association) protocol addressing the sympathetic nervous system, calming the mind and detoxing the liver, lung and kidney. Now you are finally at your home, sweet home, after your travels but your body is still trying to adjust to everything it has just been through. The most common themes I see come up for patients returning from travels are needing rebalance their internal clock due to jet lag and time change (which can be done through needling the specific points known as the horary points), boosting their immune system, increasing their metabolism and circulation and regulating their digestion and bowel movements. Last month, I had a patient return from a tropical vacation where she had a build up of water in her ear from swimming and had dealt with a stomach bug on the trip due to the water itself. The pressure and altitude on the plane caused her ears to start popping non-stop and the long flight made her realize her stomach was still a bit “unstable.” We were able to do local needles to clear the pressure in the sinuses and ear canals along with improve her digestion and energy levels after such an action-packed yet exhausting trip. There are many ways acupuncture and herbs can help when it comes to traveling. Next time you are preparing for a trip or have just returned from a trip, consider visiting your local acupuncturist and herbalist to have your physical and emotional needs addressed before packing or unpacking your bags.